Based on the classic novel by Gaston Leroux, The Phantom of the Opera tells the story of a masked figure who lurks beneath the catacombs of the Paris Opera House, exercising a reign of terror over all who inhabit it. He falls madly in love with an innocent young soprano, Christine, and devotes himself to creating a new star by nurturing her extraordinary talents, employing all of the devious methods at his command. 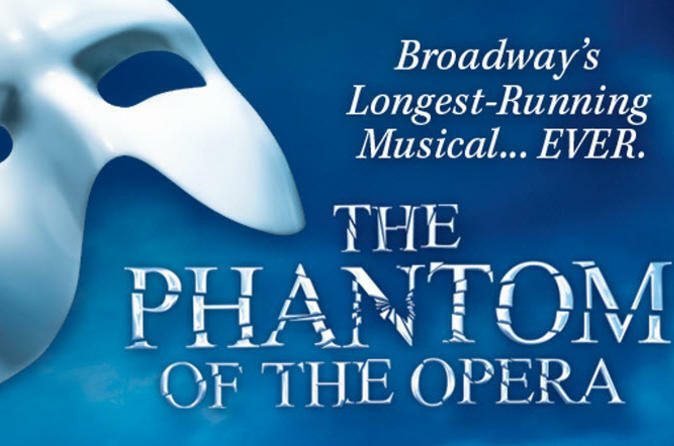 The longest-running show currently playing on Broadway, The Phantom of the Opera became the longest-running show in Broadway history on January 6, 2006 when it played its 7,486th performance, surpassing previous record-run of Cats. It has been dazzling audiences since its debut on Broadway in 1988 where it swept the Tonys winning awards for Best Musical, Best Director, Leading Actor in Musical, Featured Actress in a Musical and more. It is a Broadway institution not to be missed.